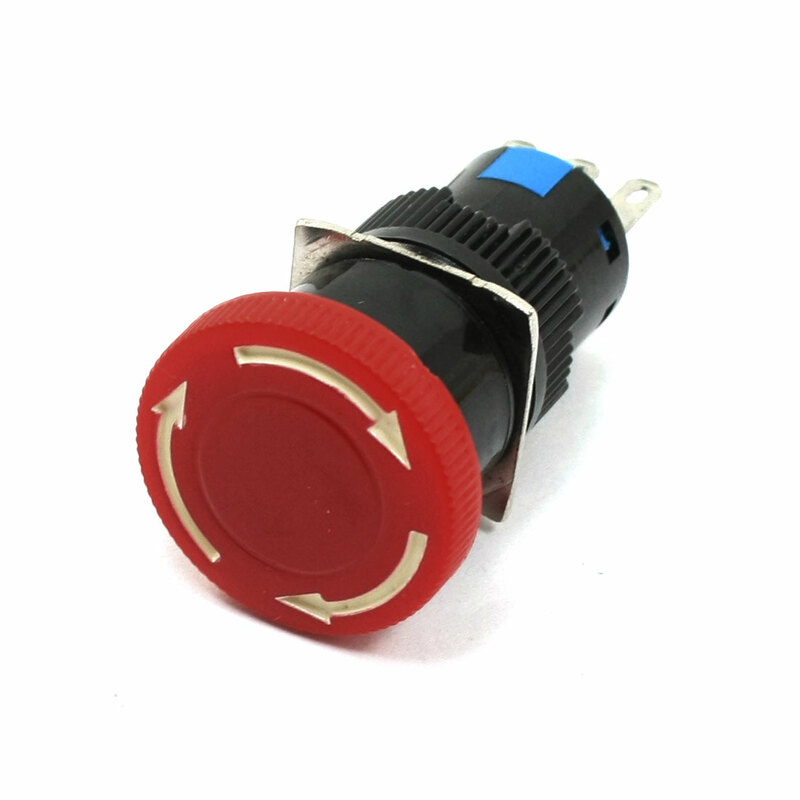 Features: 1NO 1NC (SPDT) contact type, red Mushroom head, latching action, 13mm panel cutout diameter. Mushroom head button latches when pressed, twist to release. Working Power : AC 250V 3ADC 30V 5A;Terminal Quantity : 3;Panel Cutout Diameter : 13mm / 0.5"